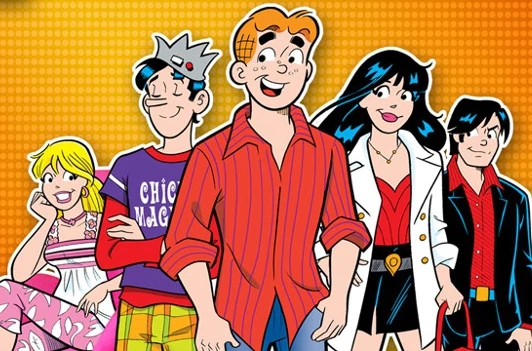 The global phenomenons – Archie and his gang – are now coming to India! After taking the world by storm with the live-action TV series Riverdale, the gang is now ready to rock Bollywood. The beloved characters will be revamped with an all-Indian cast and the story will get a fun Bollywood remake. The entertainment company, Graphic India has revealed that they are planning to build a “live-action, theatrical film based on the iconic Archie Comics characters, bringing Archie and his friends to life, Bollywood-style”. The live-action film will be the first translation of an international comics specially for screens in India. Though no specifics and dates have been announced yet, the work has begun in full swing. Both the companies have begun working actively on the collaboration, taking the initial steps towards creating an entertaining and modern story that will both fit into an Indian narrative and also appeal to fans of the Archie comics. The comics are a global phenomenon. Having sold billions of copies worldwide. They are published in more than 17 languages and distributed across over 55 countries. Many generations of Indians have grown up reading the tales of Archie, Veronica, Betty, and Jughead. The recent success of the 2017 TV show Riverdale is proof of just how far the love for these familiar characters reaches. Graphic India is tasked with a huge job of preserving the charms of the comics while giving it an Indian touch. “Archie, Betty, Veronica and Jughead have been a source of inspiration for numerous Bollywood films over the years and now it’s time to take them fully into Bollywood in an exciting new twist of a story that we have planned. These characters have held a special place in the hearts of Indians for decades and we have no doubt that the new Indian cast of Archie and the gang will be an exciting moment for the country,” said the CEO of Graphic India when asked about the adaptation. Fans in India are holding their breath to see how the project takes shape. Who do you think should be cast in the movie?